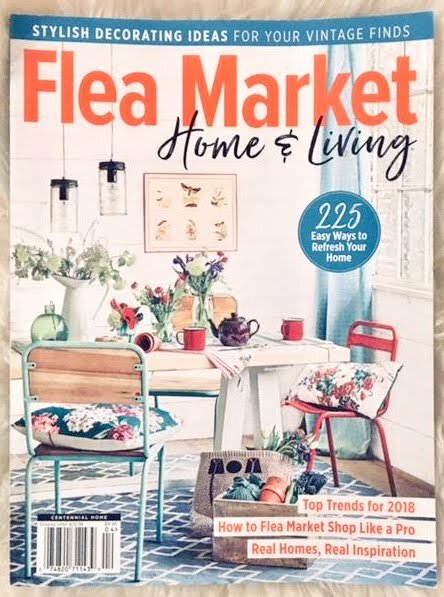 I got some exciting news last week--one of my furniture makeover projects was featured in January's issue of Flea Market Home & Living! Months ago I was contacted by the woman that was putting the magazine together, and she asked if she could pay me to have one of my projects featured in the new magazine. Toning down my excitement so I could sound professional, I in essence told her, "Of course!" 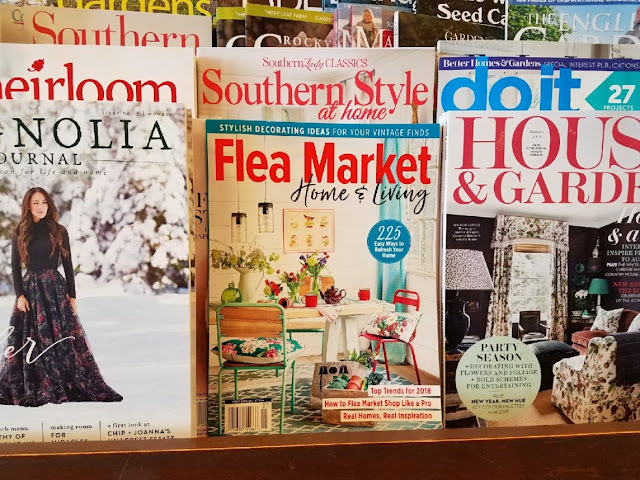 After emailing back and forth, I forgot all about it, and then had a random thought last week, "Oh yeah, I wonder what happened with that magazine?" Within a couple hours I received an email from her that the magazine was on news stands nationwide! Funny how our brains work sometimes. The editors wrote such a nice little bio about my site, as well as summarized the steps to recreate the project. I should have them write for this site instead since they are a lot more succinct! 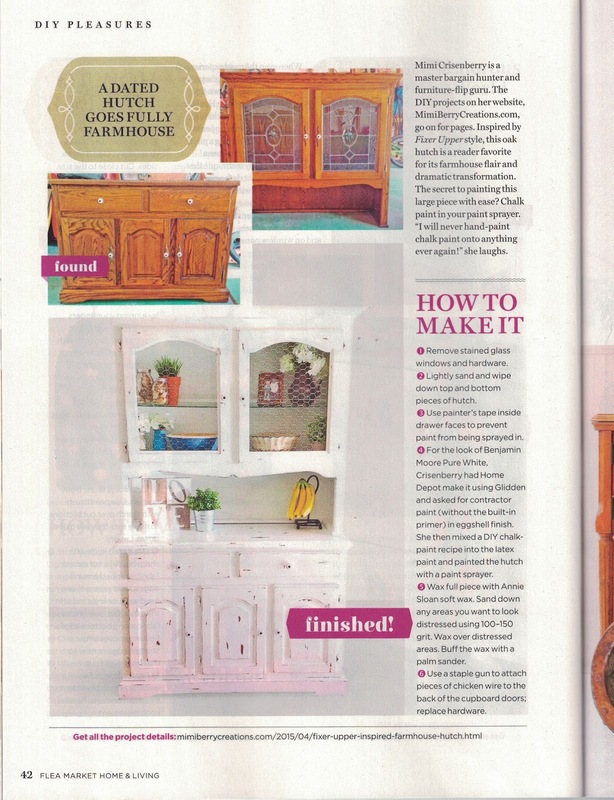 The farmhouse hutch is still one of my most popular posts, but has recently been surpassed by my post on repairing laminate furniture, and how to update an old piano. Maybe the publishing of this article will bring back what a fun project this was, since it is easy to do, and fixes the problem of what to do with outdated decorative stained glass windows. Just wanted to share with all of you a big surprise and source of excitement in my world lately. Here's to you all getting exciting news in your lives today too!